Steve O'Neill is a graduate of Fairfield University and Fordham University School of Law. Since beginning practice on Wall Street in 1975 he has concentrated in estate planning and retirement distribution planning. Formerly Chair of the Estate Planning and Employee Benefits Departments of the Providence firms Adler, Pollock & Sheehan Incorporated (1976-84) and Tillinghast Collins & Graham (1984-89), he established his solo law practice in Providence in 1990 and merged his practice with Lahti, Lahti & O’Neill, LLC. in 2011. On December 31, 2014, Steve retired as a partner with Lahti, Lahti & O’Neill, LLC. He is now working as a consultant and “Of Counsel” to the firm. His primary focus now is insuring a smooth transition for his existing clients to be represented by the active partners at Fletcher Tilton. Steve is still a member of the Rhode Island and Massachusetts Bars. 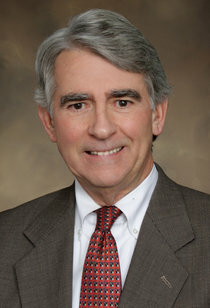 He is a Fellow of the American College of Trust and Estate Counsel, one of eleven Rhode Island attorneys so designated. In January 2011 he was listed as a Rhode Island Five-Star Wealth Manager™ (Estate Planning Attorney Category) in Rhode Island Monthly and its sister publication Rhode Island Business Quarterly. In 2011 and 2013 Steve was listed in Rhode Island Monthly as a Rhode Island Super Lawyer.